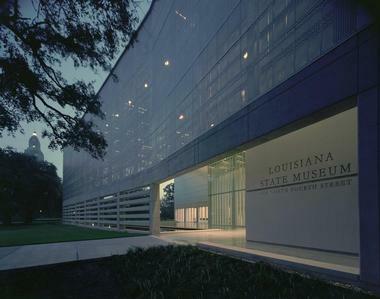 The Louisiana State Museum is a state wide network of museums and architecturally significant structures located throughout Louisiana. Founded in 1906, the facility is most well known for its strength and expertise in the complex history and culture of distinct regions in Louisiana. The museum, when taken as a whole, houses more than half a million artifacts and consists of a wide assortment of buildings, documents, and artifacts. From legal records in the 16th and 17th century to fashion and design pieces to documentation of the aftermath of Hurricane Katrina, it has the most comprehensive collection of items related to Louisiana. The museum traces its beginnings back to the 1904 St. Louis World's Fair held in St Louis, Missouri. Many international exhibits that were exhibited at the exposition were sent to Louisiana and became part of the museum's early collection. The two earliest buildings constructed to house these items were The Presbytere and the Cabildo. Over the years, the museum became a repository for all things Louisiana as its collection continued to expand. Numerous artifacts are now dispersed across nine locations in five different cities. The majority of the buildings are located in the historic French Quarter. Apart from the newly completed Louisiana Sports Hall of Fame & Northwest Louisiana History Museum, all the museums are accredited by the American Alliance of Museums. The Cabildo is located in Jackson Square next to the historic St Louis Cathedral in the French Quarter of New Orleans. Its collection consists of more than 1000 pieces of artifacts and paintings that highlight the rich history of New Orleans and Louisiana. This includes the wall-size painting of 'The Battle of New Orleans' by Frenchman Eugene Louis Lami that depicts the US triumph over the British soldiers. Another must-see piece is Napoleon Bonaparte's death mask, which is one of only four known genuine bronze masks to exist. It is believed the mask was made by Dr. Francesco Antommarchi, who was one of Napoleon's physicians when he passed away. The museum building is also a historically significant building. It was built between 1795 and 1799, and the Spanish used it as its seat of government in New Orleans. Even after the colonial period, the building was also used extensively for political and judicial purposes during different periods in time. 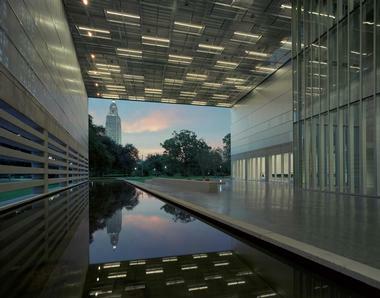 It became home to the Louisiana State Museum in 1911 and was declared a National Historic Landmark in 1960. Today, the building is one of the major historic landmarks of the city and state. The Presbytereis a historically significant building on Jackson Square in the French Quarters of New Orleans. It was designed in 1791 to match The Cabildo, with these two buildings flanking both sides of the St. Louis Cathedral. They are some of the country's best examples of Spanish architecture from the colonial period. Its name was derived from the site's original purpose as a religious residential area. Today, it is home to two permanent exhibits - Mardi Gras and hurricanes. The Mardi Gras themed gallery pays homage to the annual carnival that the city of New Orleans is most well known for all around the world. Dubbed It's Carnival Time in Louisiana,” part of the exhibition traces the roots of the festival to medieval times in Europe and Africa up until the colorful parades held today. Visitors will get to see glitzy and over-the-top costumes and accessories worn by performers, as well as climb on top of parade floats. The "Living with Hurricanes: Katrina and Beyond" exhibit discusses the 2005 Hurricane Katrina and its aftermath. As one of the deadliest hurricanes to have hit the US, it turned out to be one of the worst disasters in American history after the levee system in New Orleans broke down. Using photos, video footage, and artifacts, it documents the tragedy and how people coped with rebuilding efforts. A key permanent exhibit at the New Orleans museum pays tribute to the city's reputation as the birthplace of jazz. It chronicles the complex history of the freedom-loving music genre from its street music origins to its widespread popularity today. Jazz aficionados will relish in its seminal collection of musical instruments, photographs, original manuscripts, and recordings among others. Some notable items include the first cornet used by Louis Armstrong, the clarinet of George Lewis, and the trombone of Edward 'Kid' Ory. Another exhibit relates to the history of the Old US Mint building, which is a historical landmark in and of itself. The building was built by 1835 in the Greek-revival style. Minting operations began three years later and ended in 1909. It holds the distinct title of being the only mint to have produced American and Confederate coinage. The display takes visitors through the process of how coins are made, featuring a Morgan & Orr coin press and Troemner bullion scale, as well as coins that have been minted at the site. The 1850 House is an antebellum row house located in the French Quarters of New Orleans. It was originally designed and built in 1850 by Baroness Micaela Almonester de Pontalba, daughter of a Spanish colonial landowner who also financed The Calibdo and The Presbytere. The ornate building was built in the Parisian architectural style favored by the baroness. Its location at one of the most prominent spots in the city made it one of the distinctive landmarks of the area. Having been used for retail and residential purposes, it was bequeathed to the Louisiana State Museum in 1927. Today, the house has been faithfully recreated to reflect life for the upper middle class in the mid-19th century, a period when the city became the country's wealthiest and third-largest city. Its interior is replete with furnishings and decorative arts that reflect the opulent lifestyles of its various inhabitants. Some of the items include Old Paris porcelain, New Orleans silver, and numerous notable paintings. A visit to these two homes would transport visitors to different periods in history. Both are designated National Historic Landmarks, in recognition of its architectural style and historical significance. Madame John's Legacy is one of the few historic examples of 18th century Louisiana-Creole style building. It survived the great fire of 1794 that destroyed most of the buildings in the French Quarter. Constructed in 1788, its simple, unadorned style reflected French colonial architectural sentiments. On display inside the building are more than 50 pieces of ceramic ware from the Newcomb Pottery. The movement originated from Louisiana and has been nationally recognized as one of the most significant American art potteries of the 20th century. 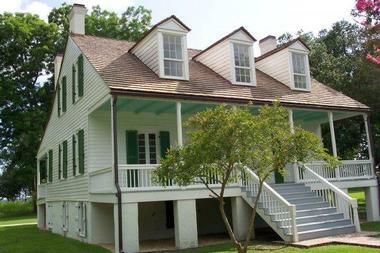 The ED White Historic Site was residence to two prominent Louisiana political leaders-Edward Douglas White and his son Edward Douglass White. While the building typifies Creole plantation architecture and traditional construction, it was infused with the Greek Revival style. Its collection tells the story of the Bayou Lafourche area. 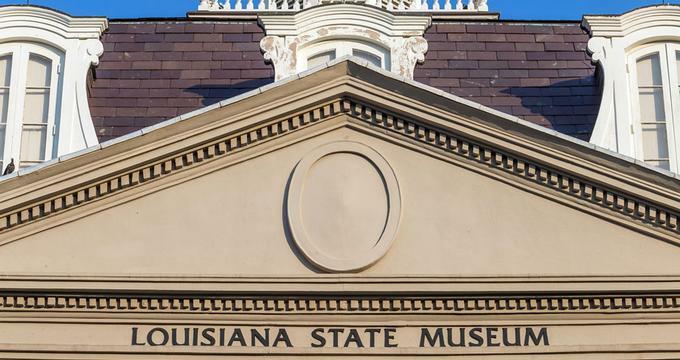 The Capitol Park Museum explores the diverse culture and history of Louisiana. From a Civil War submarine to a holding cell for sugar plantation slaves, the exhibits are designed to be visually stimulating, and they invite visitors to explore more about the state's past. Themes covered are wide ranging, from serious topics about commerce, slavery, and economic development to lighter topics about music and Mardi Gras parades. The Wedell-Williams Aviation and Cypress Sawmill Museum explores the aviation and lumber industries in depth. The aviation collection is dedicated to the legacy of Jimmie Wedell and Harry P. Williams, Louisiana aviation pioneers. It also displays state-of-the-art aircrafts such as the 'Miss Patterson' #44 and the 'Gilmore' #121 that would thrill all aviation geeks. The other major exhibit focuses on the history of cypress lumbering. The lumber industry was once an important sector for the city of Patterson as well as Louisiana. The exhibit narrates the rise and fall of this industry and the role it played in the state's industrial development. The museum combines both sporting achievements and cultural traditions under one roof. The Louisiana Sports Hall of Fame celebrates homegrown sports stars and coaches such as Archie Manning, Willis Reed, and Shaquille O'Neal. It traces the history of how different sports took root in Louisiana and the importance of sports to local people. Some items on display include a Super Bowl XLIV football signed by New Orleans Saints players as well as a 1963 Ford Thunderbird. The Northwest Louisiana History Museum focuses on the unique culture and tradition in northwest Louisiana. Tying in with its 3000 years of history, the collection explores how different groups of people helped shaped the state's culture. Alongside change is also continuity in the traditions and customs, many of which are still in practice today. They are showcased in terms of handicrafts, cuisine, and artworks. More ideas: 25 Best Things to Do in New Orleans and 25 Best Romantic New Orleans Inns.